(Preliminary): The Orthogonal Frequency Division Multiplexing (OFDM) digital transmission technique has several advantages in broadcast and mobile communications applications. The main objective of this book is to give a good insight into these efforts, and provide the reader with a comprehensive overview of the scientific progress which was achieved in the last decade. Besides topics of the physical layer, such as coding, modulation and non-linearities, a special emphasis is put on system aspects and concepts, in particular regarding cellular networks and using multiple antenna techniques. The work extensively addresses challenges of link adaptation, adaptive resource allocation and interference mitigation in such systems. Moreover, the domain of cross-layer design, i.e. the combination of physical layer aspects and issues of higher layers, are considered in detail. 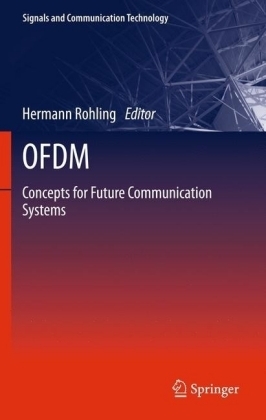 These results will facilitate and stimulate further innovation and development in the design of modern communication systems, based on the powerful OFDM transmission technique.